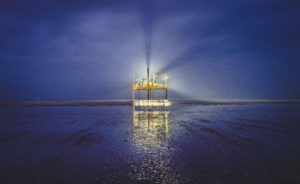 In September 2018, the AGS launched their first photography competition to try and capture the industry’s most creative working images. A staggered 71 entries were submitted, each covering a range of topics across the geotechnical and geoenvironmental sector including site work, team work, landscape imagery and machinery shots. 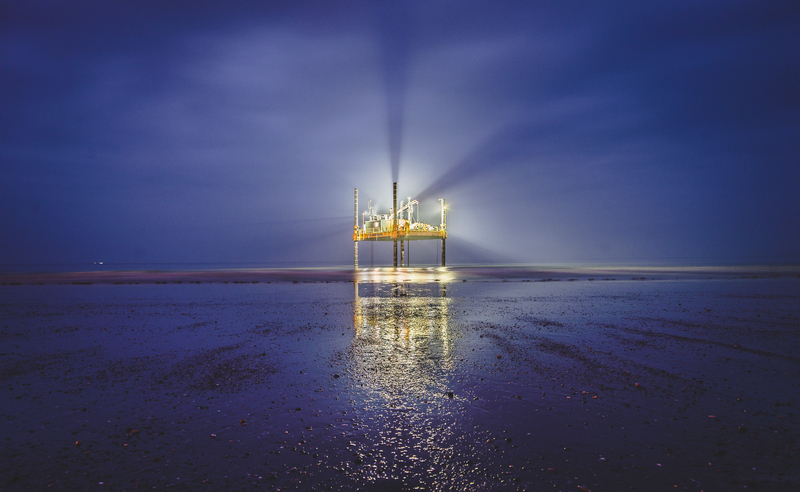 In summer 2018, Lankelma’s Sandpiper C-5 jack-up carried out nearshore investigations for three potential landfall sites near Youghal, at the Irish end of a proposed 500km-long subsea electricity connection between EIRE and France. Wireline Geobore-S drilling and push-sampling formed part of feasibility studies by EirGrid and Réseau de Transport d’Électricité. This photograph showcases the UK south coast’s first offshore wind farm – Rampion Offshore Wind Farm. 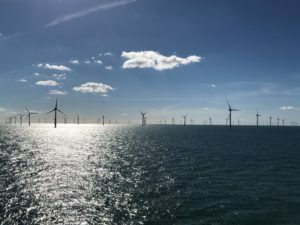 Rampion consists of 116 wind turbines off the West Sussex coast near Worthing. RSK personnel from offices throughout the UK across numerous disciplines, including geosciences, have helped to help bring this project to fruition. The photo was taken in Shoreham Quarry, in West Sussex, as part of a site visit of an Imperial College MSc research. 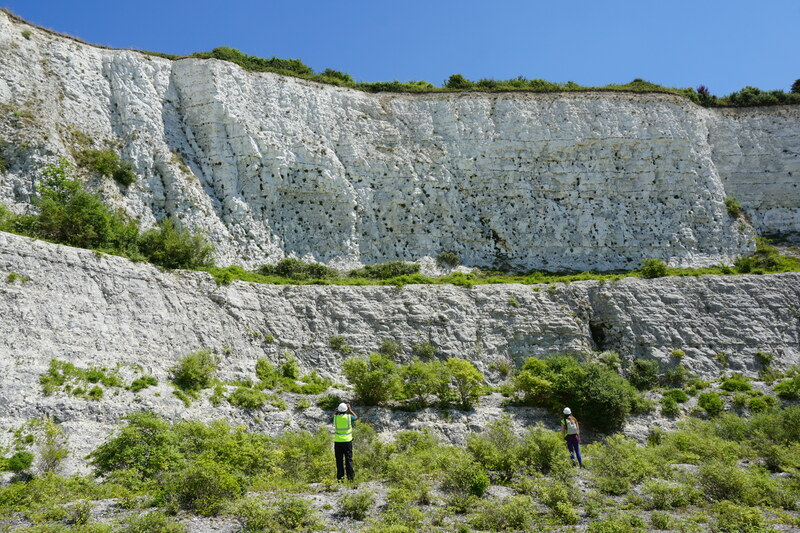 The 30m high Chalk Cliff holds a variety of rock mass features relevant to engineering practice: Faults, dissolution features, flint bands, sub horizontal beddings, subvertical joint sets, soil infilling fractures, preferential water paths. The AGS would like to thank all those who took the time to enter the photography competition. The overall standard of entries was extremely high, and the judging panel found the task challenging in shortlisting the top three entries.